A government panel said Tuesday there is a high chance of an earthquake with a magnitude of 7 to 8 occurring within the next 30 years along the Japan Trench lying in the Pacific Ocean off northeastern Japan. While maintaining there is almost zero percent of another magnitude 9 earthquake occurring in the same area on the trench as the one that hit eastern Japan in March 2011, the Earthquake Research Committee revised upward the probabilities of major quakes in other parts from the previous estimate compiled in November 2011. In its latest long-term estimate, the panel said there is a 50 percent chance of a quake of magnitude 7 to 7.5 occurring off Fukushima Prefecture, up from the previous 10 percent, and 20 percent of a magnitude 7.9 quake occurring off Miyagi Prefecture, up from almost zero percent. "Just because there was a major earthquake (in recent years), we do not want people to assume that there will not be another major earthquake occurring for a while," said the committee chairman Naoshi Hirata. The panel urged people to remember the 2011 quake and prepare for the next big one. 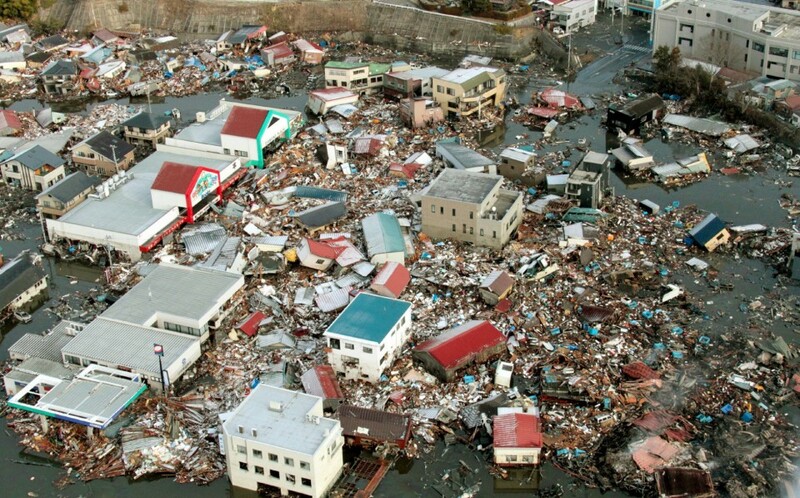 The powerful quake on March 11, 2011, rocked wide areas of eastern Japan and triggered massive tsunami as well as a nuclear accident at the Fukushima Daiichi power plant. As the panel could not fully evaluate quake probabilities in November 2011, only eight months after the unexpectedly large quake, it decided to revisit its estimates this time to reflect what it has learned over the years since. Its latest estimates show there is about a 50 percent chance of a magnitude 7.4 quake occurring in an area closer to the coast of Miyagi Prefecture. No probability was given in the previous estimate. The panel left unchanged the probability of a magnitude 7.9 quake occurring in the sea east of Aomori Prefecture and north of Iwate Prefecture at 5 to 30 percent. The committee categorizes quake probabilities as "high" when they are 26 percent or more and "slightly high" when they are between 3 and below 26 percent. It calculates the quake probabilities based on how long it has been since the last major quake if temblors with a similar magnitude occur in a certain cycle, and expands a target area when the cycle is unknown to see how frequent major quakes have happened there. The government released an annual earthquake probability map last June, showing an increased likelihood of strong earthquakes occurring within the next 30 years across a wide area of the Pacific coast, including parts of the country's northernmost island of Hokkaido.